We’ve created an environment where travel advisors can really compete for business against the online giants of the world. 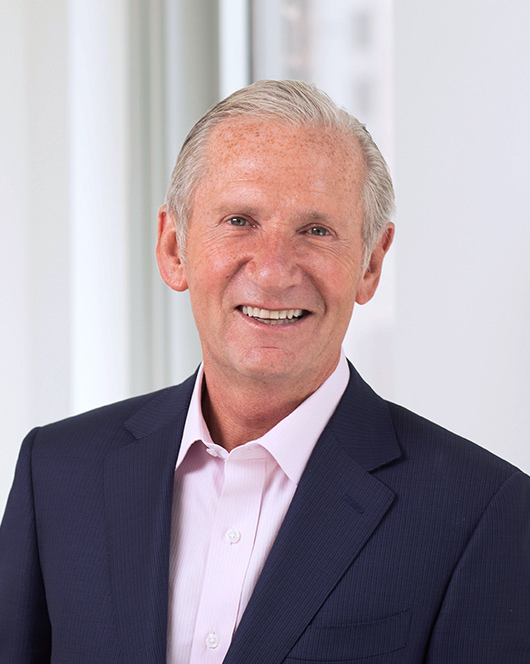 Michael Batt is the Founder and Chairman of Travel Leaders Group, a North American travel company that generates sales of over $20 billion annually and has more than 4,000 employees. Today, Travel Leaders Group is comprised of more than 6,000 travel agency locations and over 52,000 travel advisors. As chairman of Travel Leaders Group, Mr. Batt provides strategic direction for the company and has overseen the growth of the company from a collection of successful travel agencies to one of the leading forces in travel today. He has devoted his career to promoting the travel agency distribution channel and the use of travel advisors to enhance the travel experience. Prior to his role as Founder and Chairman of Travel Leaders Group, Mr. Batt served as an executive with Carlson Companies where he was President of Carlson Leisure Group (CLG) and a board member of Carlson Wagonlit Travel. Under Mr. Batt, CLG grew significantly with sales growing from a combined $2 billion in 1996 to over $5 billion in 2007. As our business has evolved and adapted to a technology driven world, it’s extremely gratifying to see customers seek out qualified travel professionals to simplify and enhance their travel experience. In January 2008, Mr. Batt led a management buyout of Carlson Leisure Group, and, in April 2008, secured investment support and partnership with One Equity Partners – the private equity arm of JPMorgan Chase. During the past 11 years the company has completed many significant mergers and acquisitions with transactions of note including Tzell Travel Group, Protravel International, Altour, Bonotel Exclusive Travel, Barrhead Travel and Colletts Travel. Under Mr. Batt’s leadership, Travel Leaders Group has expanded through strategic and organic growth to become the travel powerhouse it is today. Before joining Carlson, Mr. Batt was Executive Vice President, Sales and Marketing for Alamo Rent-A-Car. He was responsible for worldwide sales and marketing for the car rental giant. Prior to Alamo, Mr. Batt served as Marketing Director (and member of the executive board) of British Airways where he was responsible for all advertising and promotion, product development and delivery of service standards. Mr. Batt started his business career working for M&M Mars, enjoying a 12-year tenure with the company in various sales and brand management positions working in the United Kingdom, Spain, Africa and the Middle East. Mr. Batt was inducted into the British Travel Industry Hall of Fame in 2014 and won the 2017 EY Entrepreneur of the Year Award for New York and was a national finalist. Mr. Batt is a native of the United Kingdom and holds a Bachelor of Science in Economics and Materials from the University of Wales.